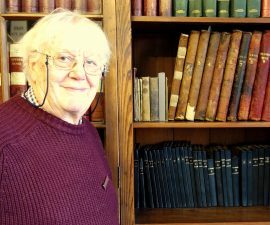 George Dawson has made it a lifetime’s project to protect and conserve the Taylor Archive. He works with a team of volunteers and professional binders to keep our books and documents in good order. We owe him a debt of gratitude!